Minimally designed yet sleek and powerful calendar solution that enable your vision to be achieved in its complete potential to elevate your website's customer experience. Event Calendars, powered around the world! Install. Add events. Make changes and show it off. 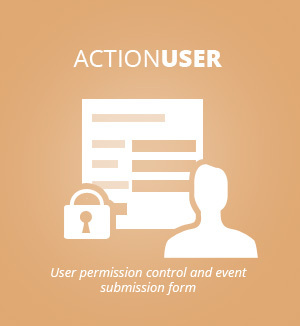 EventON is built for customized user experience. Most of the aspects of the calendar can be customized from back-end, if not using pluggable functions. 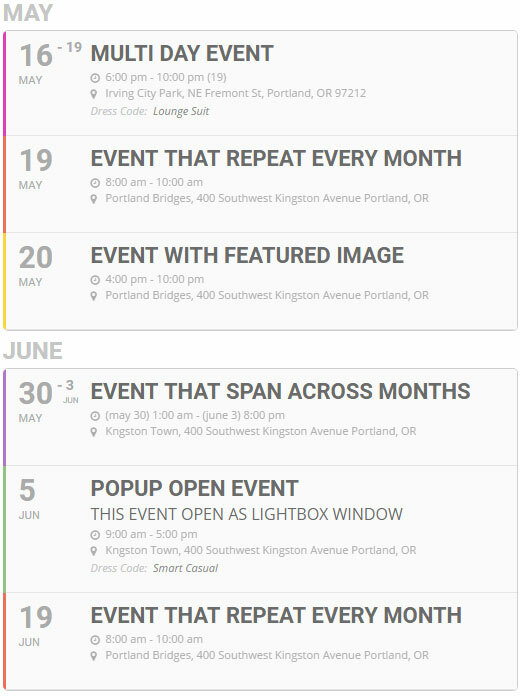 Users can easily find the events they are looking for with search build right on the calendar. Create events that last for an entire month or a year. 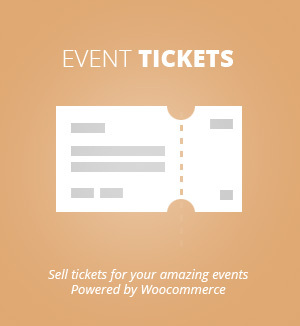 Show a quick snapshot of an event info to drive user attention. Showcase event location image with information over the image. Assign organizers for event and display their information for your users to find easily. Let calendar load more events as needed. Easily scroll to month and year to see events for exact time. Filter events by event type categories, location & organizer. For each event you can add a beautiful featured image. Seamlessly intergrate google maps into events to display location of events. Create and display repeating instances of the event that are clickable within eventcard. Calendar users can download all the events as a real-time ICS file. Cleanly designed event tiles layout offers a beautiful alternative layout for your calendar. Your customers will be able to find the event information quickly with the tiles while drawing their attention right to the minimal design of the tiles. Create basic event lists to show events from multiple months in one place. Extend Events Lists and do more with Event Lists Ext. addon. 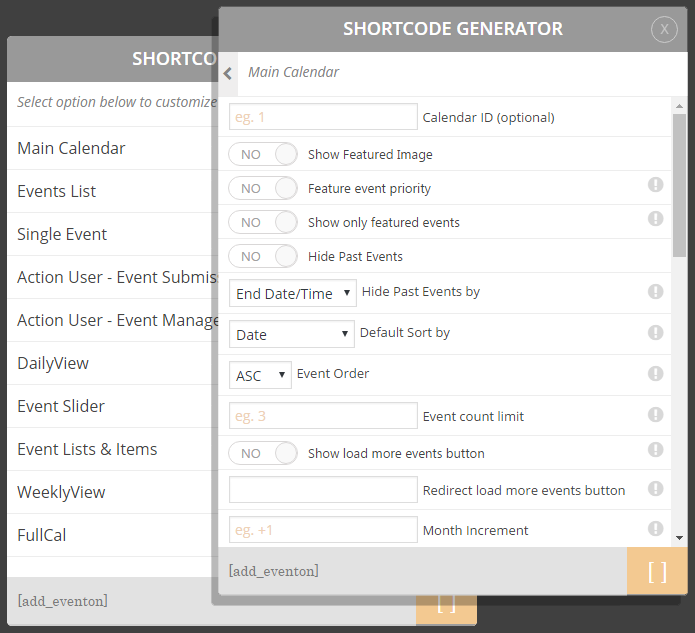 With our unique shortcode generator, you can create all kinds of calendar variation. Take eventON for a spin in our dev environment. These are just a few of the features of EventON, there are over 200 features comes with this plugin to your website! 7 of our best selling essential addons available for you as a value-added bundle!